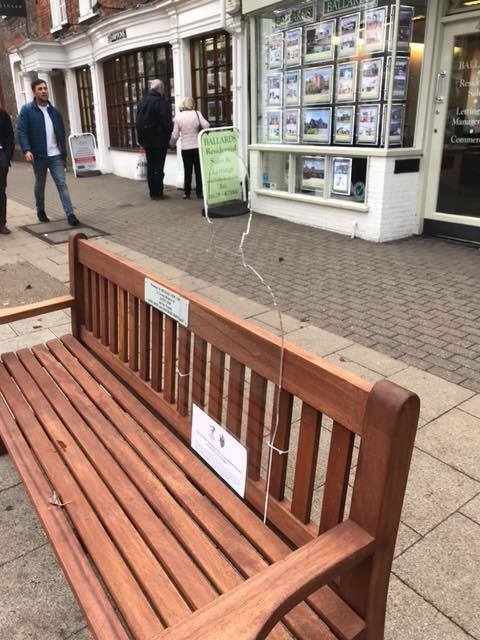 Marlow Town Council have placed 5 silhouettes on benches around the Town. Look out for them down the High Street and also Higginson Park and reflect on those who gave their lives and did not return to their families. 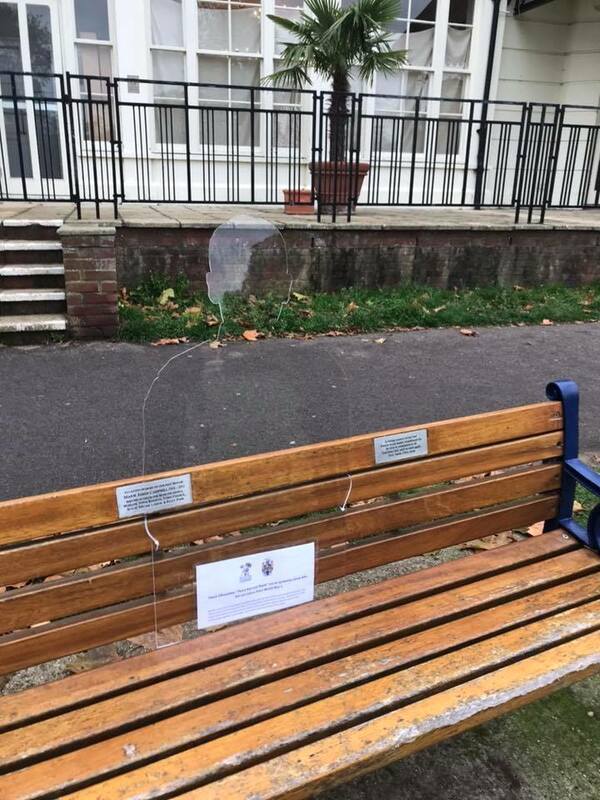 One in place on the memorial bench of Jim Campbell, past Chairman, Marlow Royal British Legion, in Higginson Park. 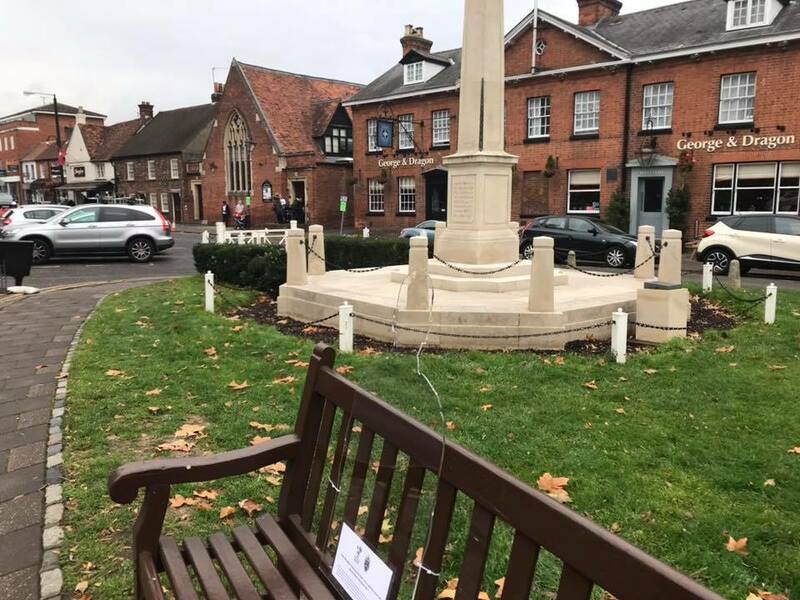 Marlow Town Council is celebrating the award of 5 silhouettes as part of the national "There but not There" installation to remember the fallen in the First World War. This has been funded by the Armed Forces Covenant Fund Trust. The award was made under the Armistice and Armed Forces Communites programme, which makes awards to bring communities together to remember; and think about the Armed Forces today.